HomeBlockchainFlorida Politics – Campaigns & Elections. Lobbying & Government. With an eye toward making Florida a leader in government use of digital ledgers, one Republican lawmaker is seeking to create an appointed panel to look at blockchain technology and its use by state and local government. 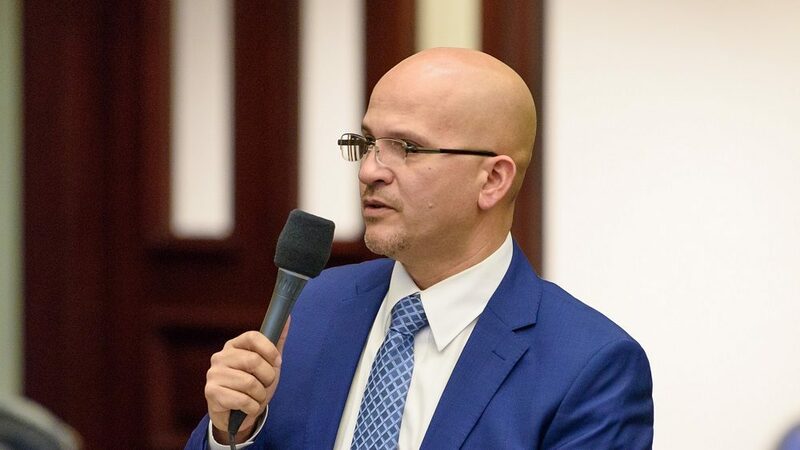 Rep. David Santiago of Deltona on Monday filed a bill (HB 735) that would establish the Florida Blockchain Working Group. Santiago chairs the Gaming Control Subcommittee; blockchain has been called “ideal” for online casino use, for instance. “The working group shall study if and how state, county, and municipal governments can benefit from a transition to a blockchain-based system for recordkeeping, data security, financial transactions, and service delivery and to identify ways to improve government interaction with businesses and the public,” reads the bill’s language. The panel would make recommendations to lawmakers and the Governor for “reducing barriers to and expedite the expansion of the state’s blockchain industry,” the language adds. A final report, completed within 180 days of the group’s first meeting, would come with a series of recommendations for moving forward with blockchain use, including a pilot project. The 19-member group would consist of two appointees each from the Governor, Senate President and Florida House Speaker. It also would include appointees from associations like the Florida Technology Council, among others.